INTEREX is developing software for tanneries during the last 20 years. SAP BUSINESS and CURTITS. ONE is the result of this experience, is the largest application to handle and control the productive process and the commercial area in the tannery business. 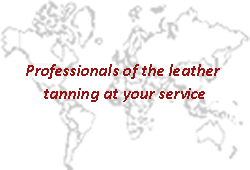 Its flexibility makes it ideal for any kind of production, upholstery, shoe, sole leather, leather goods, garment, etc. Fully integrated to the needs of the industry, with live control of production, mechanization of the grading, connection with measurement machines, and scales for chemicals, etc. Assistance in environmental issues: water, wastes, air, etc.